We take a highly personal approach to your health, safety and support. By the very nature of our projects, we guide young people to rural locations to live in very back-to-basic conditions. You are under our care and guidance throughout and we take this responsibility to you seriously. We promise that you’ll feel welcomed to Fiji and supported like you’re a member of our family. We cap each expedition and turn people away to ensure we can maintain our personal approach. Fiji is not somewhere we operate, it’s our home. You’ll have the benefit of one of the most respected organisations and charities in the country with an annual staff team of over 40+ there to offer you guidance. Our knowledge and understanding of Fijian lifestyle, culture and logistics is unparalleled. The planning for every project is extensive and in collaboration with the government. 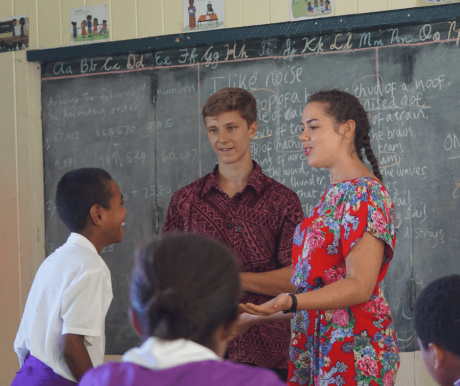 Our expeditions are designed and delivered in conjunction with the Fijian Ministry of Education and the Fijian Ministry of Health. We assess our long term objectives, volunteer roles and responsibilities, time-frames, sustainability, and your experience ahead. We visit to check and brief village homestays, plan medical support, accommodation, brief teachers and local community representatives, plan logistics and conduct risk assessments. By the time you reach your project, your adventures are just beginning, but we are at the culmination of months upon months of talking, designing and working. So don’t be surprised by how excited everyone is by your arrival! TP is not for everyone. 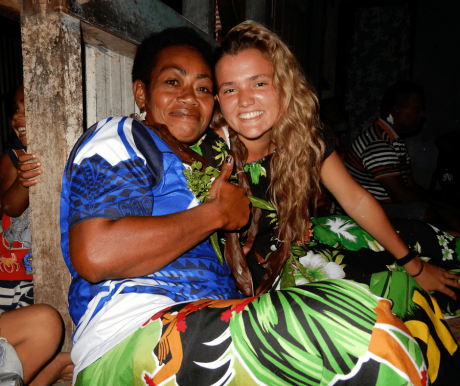 You’ll need to challenge yourself and get out of your comfort zone, embrace a new culture and throw yourself into our project aims and daily Fijian life. For these reasons, it’s important we set your expectations fully, get to know you, find out what skills and enthusiasm you’ll bring. We’ll never rose tint the experience and we can’t accept everyone who applies. Once we receive your application form, the next step is for our Co-Founder, Simon, or one of Project Managers, Tom or Nigel, to schedule a telephone chat. We’ll explain the project in detail and learn more about you. This approach is ethical and responsible, for you and for the communities we support in Fiji. It ensures we guide teams of remarkable people ready to make a positive impact. Pre-departure support is comprehensive and ongoing. 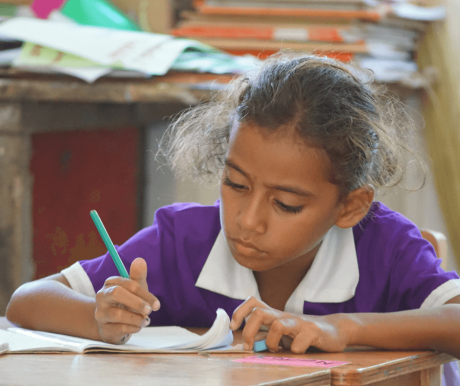 This includes your online information portal, volunteer handbook, fundraising support, information about Fiji’s culture and village life, health, safety, logistics and your check-list for departure, as well as ideas to plan and prepare for working with children in Fiji. Our online presentations allow you (and your family) to log in at home and be briefed and prepared as we present live from our office. We connect you with ATOL bonded flight agents, provide insurance information, detailed kit list and set up a Facebook group for your team. You always have a friendly voice at the end of the phone. No question is too small or too silly – so don’t be shy in asking! We’re here to help you prepare every step of the way, and we love doing so. Every expedition, no matter what duration, begins with a comprehensive briefing in Fiji. Here we run through health and safety issues, cultural awareness, local language, and local orientation as well as engaging you in skills workshops for the education and sports volunteer aims that you will soon be achieving. 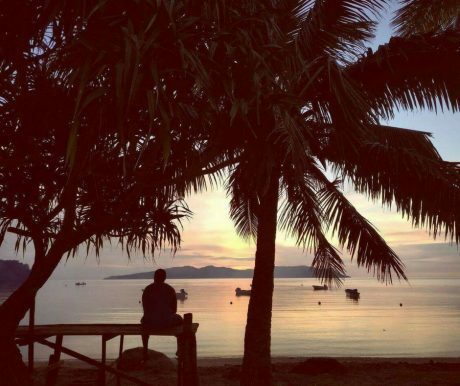 In a relaxed and beautiful environment at one of our preferred beach resorts, we take care and time to acclimatise you to Fijian life, ensure you are well informed and have the chance to meet our senior staff and sometimes our government partners. 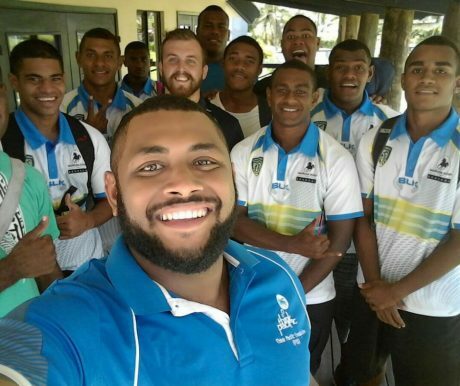 We want you to have the best start, a focused mindset and the perfect preparation to make a difference in Fiji. Every expedition is led by at least two Think Pacific Leaders. Our Leaders are young, energetic, quick thinking and reliable. They are passionate about what we do and how we do it and ensure our projects have constant personal support and direction. We’re proud to have a team of remarkable young men and women who throw themselves into the role. Over 90% of our leaders are past volunteers, they’ve been in your shoes and were inspired to return. 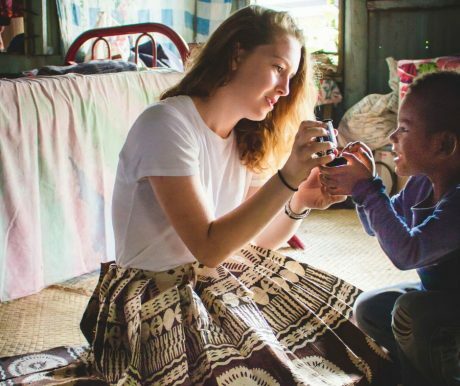 They live alongside you throughout – from staying at the resorts to living with local families in your Fijian village to the sad goodbye at the end. Our leaders work with local school teachers and villagers to ensure objectives and time frames are met and lead daily briefings and activities. The Think Pacific team are accessible 24 hours a day during every project, to provide constant back-up for our volunteers and peace of mind to friends and family back home. 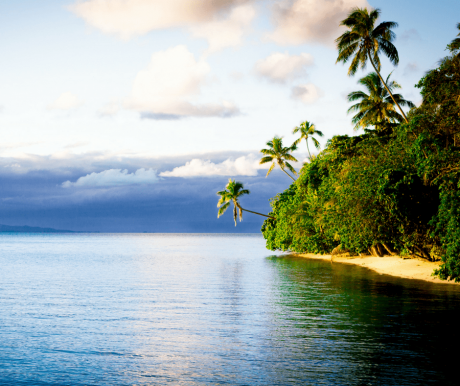 Our management team in Fiji are available as constant back up and assistance with any issue or emergency. We keep easily accessible records of our volunteers travel information including flight details, insurance policies, medical conditions, and next of kin details. We keep in close contact with our overseas expedition leaders and with daily updates and this information is relayed to our UK team. We have an experienced team overseeing all aspects of our projects, mentoring our team leaders and working alongside the Fijian Ministry, are integral to our operational success and deliver of high standards. 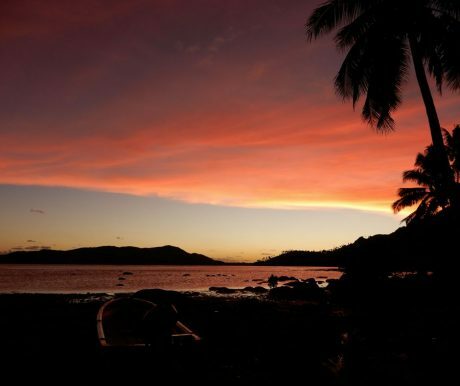 Our Director and Project Managers live in Fiji year-round providing overarching support. 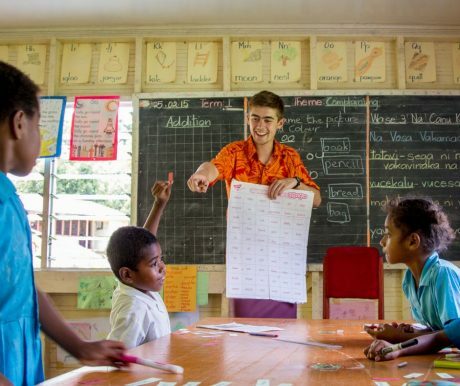 Volunteers are prepared by management staff in the UK who have extensive experience of working in Fiji. Infrastructure projects are overseen by our talented Fijian building Managers. Youth and Sports aims are directed by experienced and qualified staff. Staff hold degrees (or higher) and relevant training applicable to project aims. Our Fijian management staff exemplify our knowledge of rural areas and local customs, traditions and dialects. 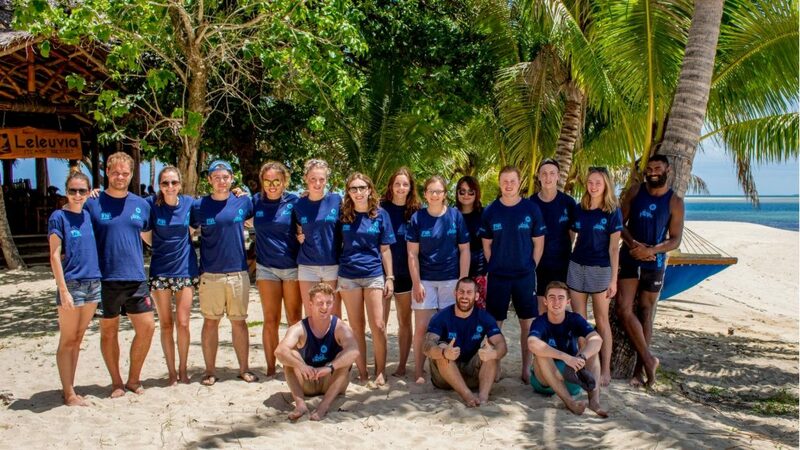 We are fully committed to responsible volunteer travel and our code of conduct for volunteers has been created to enable you to achieve the most out of your time in Fiji in a safe manner. It also ensures that the communities we work with are treated with respect and consideration at all times. 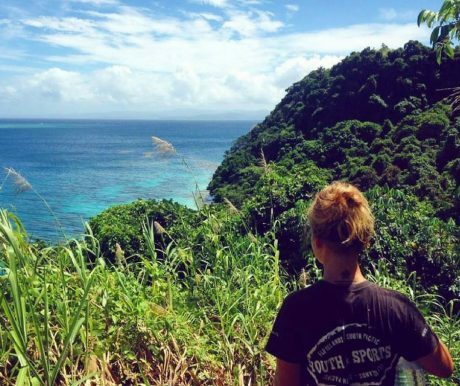 By undertaking our expedition you will be representing not only Think Pacific, but seen as a representative of our local partners at the Fijian Ministry. TP is responsible, ethical, culturally sensitive and treats all people with respect and integrity. We expect our volunteers to exemplify our aims and mission and be the absolute best version of themselves throughout their time in Fiji. A copy of our code of conduct is provided to each participant before departure. We have comprehensive emergency plans for volunteer safety in extreme situations, which have been designed by our in-country management team, approved to national standards and are updated regularly, with staff being briefed for such scenarios. As an example of our response, in February 2016, Fiji experienced a rare cyclone (TC Winston), the first such incident in over 25 years. Our volunteers were based on Koro island. We were the first NGO in Fiji to make contact and land on the island (with our emergency plane response) and our volunteers were the first of 4,500 people to leave the island. All volunteers and leaders were kept safe and free from any injury. We received heartfelt messages of thanks from grateful parents. Our ethos is ‘prevention is better than cure’. We provide health advice and information before departure and ensure volunteers are briefed for living in rural villages with basic sanitation facilities, drinking rain water and challenges of the heat and humidity of the tropics. Leaders are available 24/7 to discuss any medical complaint, we have communication and carry extensive first aid supplies. We are usually less than 1 hour of the nearest medical facility and our staff are on hand to arrange road or boat transportation on your behalf if you require. We have excellent knowledge of local medical practitioners across Fiji – from clinics, local doctors, dentists, and personal contacts with the best hospital in Fiji, SPH, who can arrange helicopter emergency response for serious conditions. For any cases of illness, however small, we will guide you personally and be with you. 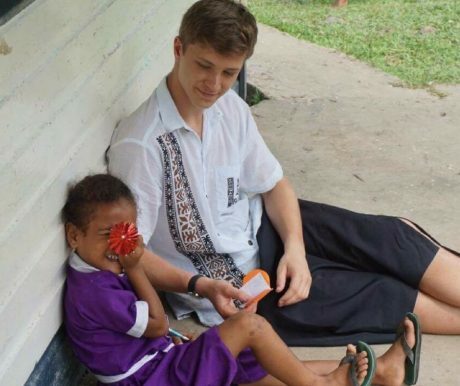 We know that project life can come with challenges – This might be homesickness, adjusting to Fijian food and culture or the basic sanitation. We are focused upon providing key support to help you tackle your challenges and gain the most of each day. In the end this leads to huge personal growth and self-development. Our leaders and staff are approachable, personable and always on hand to discuss issues and provide emotional and motivational support. We hold daily team meetings and every afternoon ends with a de-brief as we discuss the highs and lows of project life. We also organise one-to-one briefings with you (named a ‘PPP’). A scheduled time to discuss your role, how to gain the most from your experience and to speak in confidence as you adjust to life in the tropics. Have Questions About Health & Safety On Our Projects?